Cooking to final moisture takes place in the Microfilm™ cooker. 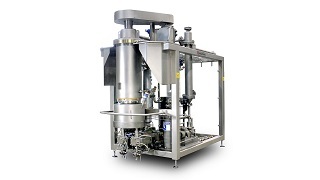 This comprises a scrape pre-heater and a swept surface Microfilm™ rotor, which creates a thin film of syrup that cooks rapidly without process inversion or burning of dairy ingredients. The Carablend™ cooks and caramelizes the syrup and applies pressure to achieve the correct final moisture content. For the creation of fudge products. Syrup is deposited at final moisture into silicone or metal moulds, then cooled. 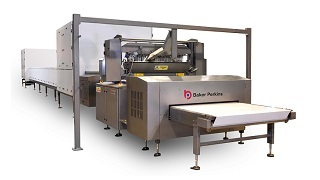 High quality, high efficiency and high output, plus greater product variety, are the main reasons for choosing Baker Perkins’ integrated toffee cooking and depositing systems over traditional processes. 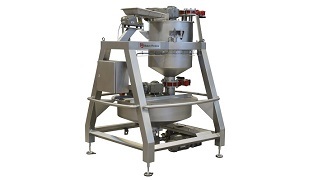 Efficiency comes from continuous production in a system integrated from ingredient feeding to cooled product. Low scrap rates, minimal labour requirements and negligible downtime keep unit costs extremely low, and the consistent size, shape and weight contribute to high levels of wrapping efficiency. Perfectly regimented discharge for chocolate enrobing is another significant benefit. 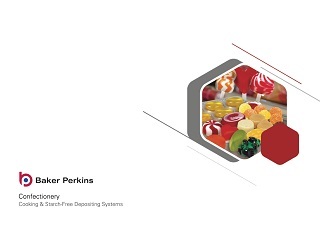 Baker Perkins’ toffee cooking and depositing systems may be specified to produce the full range of traditional toffees and caramels with recipes ranging from budget to premium. The systems also extend process capability to a range of products that cannot be made by any other method. White toffee can be coloured and flavoured, as well as striped and swirled. 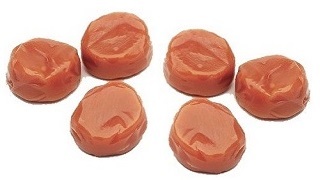 Traditional brown toffee may be enhanced with chocolate, nuts, or jam centre-fills in a perfectly-shaped outer. Outputs can reach 1.3 tonnes/hour – 3,600 pieces per minute. 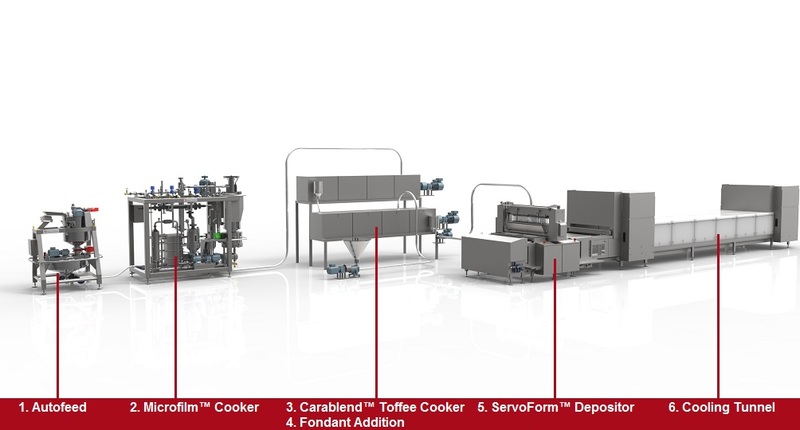 View some of the toffee, caramel and fudge products that can be made on Baker Perkins' process lines.